Thank you to all the participants of the "Frontiers of Digital Finance India Roundtable" conference. Watch all the Videos and Images of the sessions from here. Financial services in India are at a critical inflection point. Consumers have rapidly adopted smart phones and have increased expectations from their financial services providers. De-monetization and the GST have reshaped the macroeconomic landscape and will continue to do so in future, as will the Smart Cities initiative. Aadhaar, PAN and biometrics are creating fresh possibilities for e-KYC. New technologies, such as Artificial Intelligence/Machine Learning are becoming widely available, enabling innovative business models and paving the way for better approaches to serve customers. Bikram Singh Bedi is the Head of India for Amazon Internet Services Pvt. Ltd. Bikram leads the team that helps businesses of all sizes across the region learn about the Amazon Web Services cloud computing platform, allowing them to save money, accelerate their time to market, and focus on their core business. 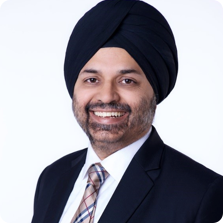 Bikram has over 23 years of experience including managing various business’s in senior leadership roles across ASEAN, Asia Pacific and India geographies for various IT and Telecom-based products and services organisations like IBM and Oracle. Prior to joining Amazon Web Services, Bikram’s last assignment was as the VP of the middleware business at Oracle India. 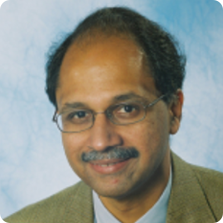 Dr Prasad is an expert in Industrial, Infrastructure, Technology and Education practices in South Asia and Greater China regions. Prior to executive search, Prasad worked in Industry in general management positions. His last role was Managing Director of Silicon Graphics in South Asia, ASEAN and Greater China regions. Prasad started his career in academics in USA after completing a PhD degree in Business Administration from University of Cincinnati. 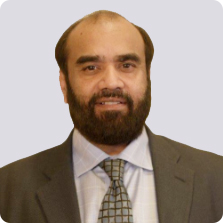 He served as Assistant and Associate Professor in Financial Management in University of Kentucky, USA. He is a qualified Chartered Accountant from India. 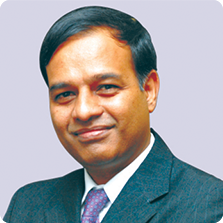 Prasad serves as an Independent Director on Boards of unlisted Indian companies. He continues to be associated with academics in India serving as Chairman of a large private school in New Delhi. 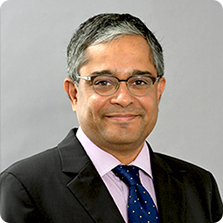 Rajesh Narain Gupta is the Managing Partner of a full service law firm, SNG & Partners, having presence in Mumbai, New Delhi, Singapore and Qatar. Rajesh’s area of specialization includes Banking and Finance, Commercial Laws, Real Estate and Private Client practice. Mr. Rajiv Sabharwal, a B. Tech from IIT Delhi and PGDM from IIM Lucknow, has over 25 years of experience in the banking and financial services industry. 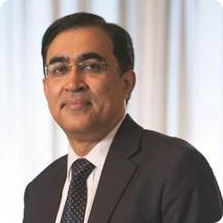 Mr. Sabharwal is currently the Managing Director & CEO, Designate of Tata Capital Limited and Tata Capital Financial Services Limited, besides being a Non Executive Director of Tata Securities Limited. He has served as an Executive Director on the Board of ICICI Bank where he was responsible for several businesses including retail banking, business banking, rural banking, financial inclusion business, technology and digital banking. He has also served as the Chairman of ICICI Home Finance Company Limited. Mr. Sabharwal also had successful stints with True North Managers LLP, Sequoia Capital, Godrej Group, SRF Finance, GE Capital and Times Bank. Likhit is IBM’s Global Industry General Manager for the Banking and Financial Markets Industries. Prior to this Likhit led IBM’s Global Banking and Financial Markets team for Global Business Services. His previous roles within IBM were: Leader in Europe for Value Creation and Leader of the Strategy and Change practice. Likhit has also led the M&A practice at PwC and has extensive corporate finance experience. Over 25 years of experience in Investment Banking and Strategic Consulting. Likhit has extensive experience of leading complex transformational engagements around the world, including digital banking, advanced analytics, process automation and back office enablement. Under Likhit’s leadership, IBM have developed a market leading position in solutions that support the transformation of core banking and multi-channel capabilities focused on IBM’s priorities in cloud, analytics, mobile and social collaboration. Likhit’s blue chip client base includes Barclays, Banorte, ANZ Bank, NAB, China Construction Bank, Standard Bank of South Africa and Itau. In addition, Likhit oversees teams that work extensively with global banks such as, JPMC, Citigroup, Santander, Lloyds Banking Group, Garanti, Nationwide UK and RBS. Mr. Gagan Rai is the Managing Director and CEO of NSDL e-Governance (NSDL e-Gov) wherein he is responsible for strategic planning as also for driving the growth and expansion of NSDL e-Gov. He plays a crucial role in the development and execution of the company’s strategic plans. Mr. Rai has been a part of NSDL e-Gov since its inception in 1996. Under Mr. Rai’s leadership, the company has spawned several successful offerings in the Capital Market and e-governance space. Several Government Departments, Ministries and State Governments in the country have joined hands with NSDL e-Gov. Having more than 42 years of experience, Mr. Rai is a charismatic leader and brings extensive industry expertise to the table. He understands the importance of a customer centric business and works with his team to put forward the best strategy that will be suitable to fulfil needs of the customers. Prior to working with NSDL, Mr. Rai worked with Credit Analysis and Research Limited as an Executive Director. Previously, he was also associated with Industrial Development Bank of India as its General Manager. Mr. Rai has the unique distinction of starting and establishing three important institutions in the Country viz., Credit Analysis and Research Limited; National Securities Depository Limited; and NSDL e-Governance Infrastructure Limited. He is an Associate in Development Bank Management of Association of Development Financing Institutions in Asia and the Pacific (ADFIAP), Manila. He is also a Cost Accountant, post graduate in economics and Certified Associate of Indian Institute of Bankers. He was presented with the Distinguished Alumni Award by Shri Ram College of Commerce (SRCC) in 2008. Ramit Arora is the President and co-founder of Biz2Credit and heads the company's credit and sales operations. He has 10+ years of experience in financial services with Citibank and Xerox, and has a considerable experience in risk management. He holds a bachelor's degree in business management and master's in accounting. Rohit Arora is the CEO and co-founder of Biz2Credit and is responsible for driving Biz2Credit to its leadership position. Rohit is often quoted on small business lending by major news media, including the New York Times, Wall Street Journal, Bloomberg, Entrepreneurs, American Banker, CNNMoney, MSNBC, Inc., and the Washington Post. He is a leader in Bain India's Healthcare practice and a member of the firm's Financial Services and Private Equity practices. He has nearly 15 years of experience in North America and India, with more than 10 years in consulting with Bain. Satyam joined Bain's Boston office in 2005 and has advised major clients across a range of Consumer Services verticals, including Healthcare Delivery, Pharma and Financial Services. Within Financial Services, Satyam has worked on assignments with NBFCs, Housing Finance Cos, and players in the Payments space. In addition, he has led numerous projects in the Private Equity ring-fence and has extensive experience advising clients on Customer Strategy and Commercial Due Diligence. His recent assignments include devising the growth strategy for a Payments player, re-organization in a leading NBFC and the turnaround strategy for a Healthcare Delivery leader. Satyam contributed to Bain's Aarogya Bharat: India Healthcare Roadmap for 2025 report. He has also been published and quoted in leading business dailies. 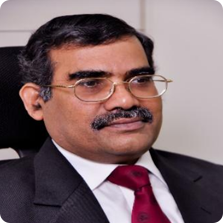 Mr. Pillai is the Managing Director and CEO, TransUnion CIBIL. He is responsible for the management, growth and business strategy. Mr. Pillai brings over 15 years of rich experience in banking, risk management and usage of analytics and decisioning services to enhance consumer access and experience. Prior to July 2015, Mr. Pillai was the Chief Operating Officer for TransUnion CIBIL with the responsibility for the strategic management of the bureau operations and new product development. He was also the President of TransUnion’s business in India. 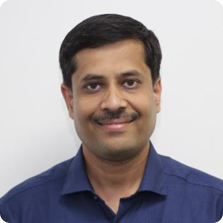 His team designed and launched analytical solutions including the first generic scoring models in the market – CIBIL TransUnion Score and the Personal Loan Score – as well as customized decisioning solutions for credit institutions to seamlessly integrate bureau data in their credit decision process. In addition, his team worked directly with the financial services and telecommunication industry to design tailored analytics and technology solutions to enable profitable growth. Before TransUnion, Mr. Pillai was Director – Collection Strategy of American Express, and a manager in the small business risk management area, both part of the U.S. Risk Management division. He began his career in the banking industry with Banco Popular North America and then with Wachovia Bankcard Services. Mr. Pillai received a Master’s degree in economics from the University of Florida. Mr. Ramesh Iyer is the Vice Chairman and Managing Director of Mahindra & Mahindra Financial Services Limited (MMFSL) and is the President – Financial Services Sector and a Member of the Group Executive Board of Mahindra & Mahindra Limited. 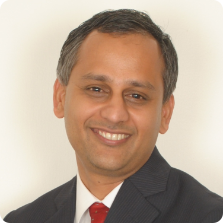 Mr. Iyer has been associated with MMFSL since 1994. MMFSL has total Assets Under Management (AUM) of around Rs. 57,000 Crores (8.8 billion US$) with 1,400+ branches spread across the country. MMFSL is managed by a team of young managers with employee strength upward of 27,000 people. MMFSL has four subsidiaries viz. (1) Mahindra Rural Housing Finance Company Limited (2) Mahindra Insurance Brokers Limited (3) Mahindra Asset Management Company Private Limited (4) Mahindra Trustee Company Private Limited. He also looks into the operations of Mahindra Finance USA, LLC., which is a U.S. joint venture with De Lage Landen Financial Services Inc., (DLLFS) a wholly-owned subsidiary of the Rabobank Group. Mr. Iyer is also a Director of various Companies in the Mahindra Group. He is a member of various Committees in the Industry like CII, FICCI, BCCI, FIDC and IMC Chamber of Commerce & Industry. He has been recently appointed on the Board of Advisors of Vidyalankar Institute Of Technology – School Of Management. 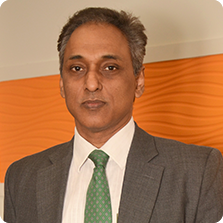 Mr. Iyer is recipient of various prestigious awards, the most recent ones being: Received the prestigious Asia Pacific Entrepreneurship Award (APEA) 2017 INDIA ‘Best CEO – Financial Services Sector Mid Cap’ award by Business Today, ‘CEO – FINANCIAL SERVICES’ at the CEO AWARDs organised by CEO India magazine. Mr. Iyer was also one of the finalists in the CNBC 15 th Asia Business Leaders Awards 2016 held in Jakarta, Indonesia and has been recently featured in Business Today magazine in the top 40 BFSI CEOs of India. Mukesh Aghi is the President of the US-India Strategic Partnership Forum. Dr. Aghi has extensive experience working with business and government leaders in the U.S. and India to promote trade and strengthen ties between the two countries. He also currently serves as a trustee at Claremont Graduate University. Previously, Dr. Aghi served as Chief Executive and Member of the Board at L&T Infotech where he expanded the business on a global level. During his time at Steria, Inc. (India), Dr. Aghi served as Chairman and CEO of the Asia-Pacific region. 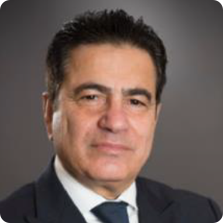 Additionally, Dr. Aghi was the founding CEO of Universitas 21 Global, the world’s largest consortium of research-led universities and global leader in providing post-graduate online education. He was also the President of IBM India for IBM Corporation, and spent time working with Ariba, Inc. and JD Edwards & Co.
Dr. Aghi holds several degrees, including an advanced management diploma from Harvard Business School, a Ph.D. in international relations from Claremont Graduate University, an MBA in international marketing from Andrews University, and a BA in business administration from the Middle East College, Beirut, Lebanon. 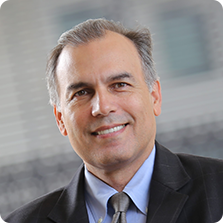 As a fluent speaker in many international languages, Dr. Aghi was recognized by Esquire Magazine as a Global Leader and has won many awards over the course of his professional career, including the J. R. D. Tata Leadership Award. In his free time, Dr. Aghi is a major marathon and mountaineering enthusiast. He has competed in over 27 international marathons and climbed some of the highest peaks in North America and Europe. Manoj is the global leader of PwC's FinTech practice across assurance, tax and advisory services and a member of PwC's Global Financial Services Leadership team that sets and monitors the strategic direction of our global financial services practice. He is also an assurance partner in the Banking and Capital Markets group of our US Financial Services practice. Previously, Manoj was leader of PwC's Financial Services emerging markets team from 2014-2015 and the leader of the Financial Services practice for PwC India overseeing assurance, tax and advisory services for that sector from 2011-2015. Manoj began his 27-year career with PwC in the Los Angeles office in 1990 where he worked in assurance until 1996. He then spent six years abroad working in the Luxembourg office after which he returned to the US to the San Francisco office in 2002. With his admission to the partnership in 2006, he transferred to the Los Angeles office until his assignment in India. Manoj specializes in providing assurance and business advisory services to clients in the banking, payments, consumer finance, asset management and capital markets sectors but also has experience in manufacturing, distribution and international holding company structures. He has performed and led audits of both SEC registrants and privately held companies. Manoj also led the automotive finance practice in the US from 2008-2012. Abhaya Prasad Hota, till very recently the Managing Director & CEO of National Payments Corporation of India (NPCI), had a long tenure of 35 years – 27 years in Reserve Bank of India (RBI) and 8 years at NPCI in the area of design, development and implementation of electronic payment systems. He combines the experience of a central banker and a service provider in payments systems. While at RBI, Mr. Hota had played a key role in introduction of MICR Clearing, ECS and NEFT. On joining NPCI as the founding MD & CEO in 2009, he was instrumental in the launch of Immediate Payment System (IMPS) – a very revolutionary product in 2010, RuPay Card – india’s domestic card network in 2012, Aadhar Payments Bridge ( APB) in 2013, the game changing Unified Payments Interface (UPI) in 2016 and a few clearing house products in bill payments, toll and transit. Shri Hota has received the Aadhar Excellence Award, Skoch Business Leadership Award, Karmabeera Gowrishankar Samman, M R Pai Memorial Award and FFIFS Life Time Achievement Award for contribution to digital payment revolution in the country. He had also been honoured with Best CEO Award in public sector Category by Forbes Leadership Award for 2017. Shri Hota currently provides consulting services to Swift India Ltd and World Bank. 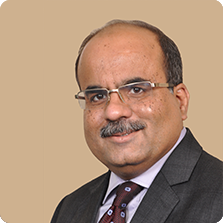 He also serves as an independent member of the Board of Federal Bank, Motilal Oswal Asset Management Company, IDBI Intech, Electronic Payments Services Pvt Ltd and Transaction Analysts. 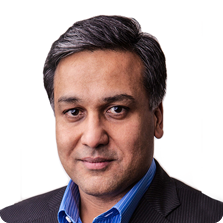 Ash Gupta promotes company-wide innovation to drive revenue growth along with best-in-class credit and fraud results for American Express. He leads a team of more than 1,500 data scientists, business strategists and analytical experts. Together, the team drives industry-leading outcomes in credit and fraud write-offs and big data capabilities across all American Express businesses and geographies. 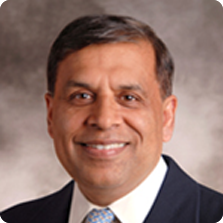 Mr. Gupta is an executive officer of American Express and reports to company’s Chairman and CEO. Mr. Gupta’s prior roles include the company’s Chief Risk Officer, and CEO of the U.S. Banks, along with broad leadership positions in Finance and Strategic Planning. In addition, Ash has been the (co)founder of many businesses at the Company … including American Express Federal Savings Bank, American Express Merchant Finance, small business lending, and Amex Advance. Ash has mentored a wide range of leaders and businesses in ecommerce and payments globally. Mr. Gupta earned an MBA from Columbia University and a bachelor’s degree in Engineering from Indian Institute of Technology (IIT), Delhi, where he and his wife have endowed a Chair Professorship for Decision Science. He was honored by IIT with its Distinguished Alumni Award in 2006. Currently, he serves on the boards of Encore Capital Group (NASDAQ: ECPG), Big Brothers Big Sisters of New York, and South Asian Youth Action (Advisory Board). Manish Gupta is the CEO and founder of Corridor Funds, a new Institutional Credit Fund that combines the latest in analytics and technology with the human intuition of a very experienced credit team who has successfully underwritten and managed multi-billion dollar consumer and small business lending portfolios through multiple economic cycles at some of the leading banks in the world. He also recently launched Corridor Platforms Inc. a fully integrated big data credit decisioning platform to underwrite and manage consumer loans through the credit lifecycle. Prior to that, he spent 13 years holding key senior management roles at American Express. Most recently, he was EVP and Head of Global Information Management and Data Products for American Express, along with responsibility for the companies Big Data and Advanced Decisioning Platforms. Before that, he was EVP and GM of OPEN (Small Business) Products and also launched American Express merchant financing and working capital products. 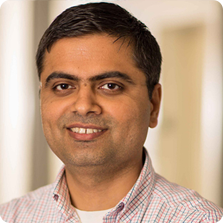 During his tenure at Amex Manish established a Big Data Lab in Bangalore to help transition American Express to the latest machine learning based predictive modeling. He also launched a new business for Amex called Performance Marketing - which uses the latest in big data and AI to help develop highly targeted marketing and deliver personalized customer experiences to consumers. Before that Manish spent many years in risk management as CRO for the Global Commercial businesses, and then as the Chief Credit Officer of the U.S. consumer card business at Amex. Prior to joining American Express, Manish was a management consultant, as a partner and practice leader, with Mitchell Madison Group and PwC. 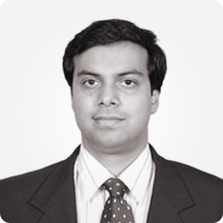 Manish Gupta holds an MBA in Finance, and a degree in Engineering from the Indian Institute of Technology. 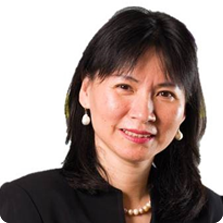 Connie Leung is the Senior Director & Financial Services Business Lead - Asia of the Worldwide Financial Services Industry team. Connie has dual responsibility as Asia lead for driving high level engagement and industry spokesperson and thought leader in Asia, and provides the strategic direction and leadership for all aspects of the Financial Services business as part of the Worldwide Financial Services group, including Banking, Capital Markets and Insurance. As part of the worldwide financial services team, Connie has led various global initiatives including Blockchain and AI/Machine learning for corporate banking and industry digital transformation initiatives. Connie brings many years of diversified industry experience to this role including banking & finance, vertical business segment such as payments, treasury and trade, technology & infra-structure, sales and management experience to this role. Before joining Microsoft, Connie was a Director, Payments & Trade markets, Asia Pacific at SWIFT responsible for corporate, payments and trade markets activities in Asia Pacific. She was with SWIFT since March 2006 initially focusing on launching the new Trade Services Utility(ICCBPO) in the market and moved into her last position in September 2010 to develop SWIFT’s corporate, payments and trade & supply chain business in Asia Pacific. Prior to joining SWIFT, Connie held management positions with various financial information services providers including as Misys, Surecomp and Fidelity Information Services, offering trade finance, core banking, treasury and payment systems to banks. Prior to that, Connie served as vice president and in other management roles for companies such as smart card management system, credit card payment terminals and internet e-commerce portals for the financial sector. S. Ramann, belongs to the civil service and is deputed to NeSL, by the C&AG of India. Prior to joining NeSL, Ramann was the Principal Accountant General of State of Jharkhand, from 2015- 2016. He was the Executive Director, looking after Secondary Markets at SEBI, while on an earlier deputation from the Government of India from 2006 to 2013. His qualifications are BA (Economics) from St Stephen's College and MBA from FMS, Delhi University. He also holds an L.L.B. from the University of Mumbai, an Msc in Regulations from the London School of Economics and a Post Graduate Diploma in Securities Law. Mr. Amit Gainda is an accomplished leader with over two decades of experience in the banking and financial services industry. 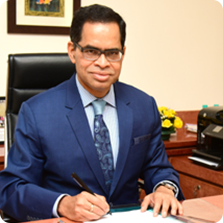 He is currently the CEO of Avanse Financial Services, a leading Education focused NBFC. Mr. Gainda is responsible for setting organizational strategy basis the vision, profitability and shareholder objectives. He has a strong track record of building businesses from scratch and managing complexities of scale with strong emphasis on sustained profitability. He also had successful stints with DHFL, Bajaj Finance, GE Money and Citigroup. Mr. Gainda has a Master's Degree in Business Management from International Management Institute (IMI) and INSEAD. 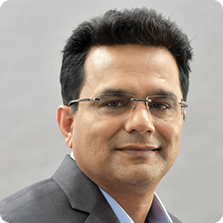 Rajesh Saxena is the CEO, global consumer and central banking with Intellect Design Arena Ltd. based out India. He is a seasoned retail banking executive with an in-depth understanding of all aspects of retail banking including retail distribution, digital banking, offshore and onshore investments, branch banking with special expertise in credit cards, Personal loans and other unsecured lending. He has strong P&L focus having done large P&L roles in the last 15 years. Prior to joining Intellect, Rajesh, was Chief Executive Officer, American Express, India and in this role was responsible for International Consumer & Small Business Services in India as well as for providing leadership to the AEBC Country Executive Team. He is credited for turning around the cards business and setting the business for growth in India. Prior to AMEX, he worked with Citibank for 19 years across five different geographies in various consumer banking roles with the last 10 years spent in managing large teams and product and country P&L's. He has strong strategic thinking capability with special skills and experience of ramping up start-up businesses and has deep retail customer insights. He is well networked in the BFSI space across India, Asia, Middle East and Europe. 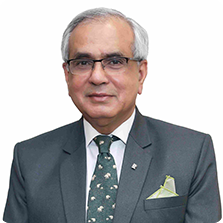 Dr. Rajiv Kumar, took over as Vice Chairman of NITI Aayog on 1 September 2017. (x) Senior Research Program Officer, ICRIER. Delhi, (1982 to 1987). In the past he has served as Government of India nominee on the Boards of:(a) Government of India nominated Director on Central Board of the Reserve Bank of India; (b) Economic Research Institute for ASEAN and Asia (ERIA) Jakarta; (c) Central Board of the State Bank of India, Mumbai; (d) Indian Institute of Foreign Trade, Delhi; (e) Part Time Member, National Security Advisory Board (2006-2008); and (f) Part Time Member, Economics, Telecom Regulatory Authority India (TRAI), New Delhi (2007-2010). He has published more than a dozen books. ‘Modi And His Challenges’ (Bloomsbury New Delhi, 2016) is his latest book. Author of several research papers, he also is a noted economic columnist. He has a D.Phil. in Economics from Oxford University (1982) and a Ph.D from Lucknow University, India (1978). Shri Rajiv Anand is a rank holding qualified Chartered Accountant and holds a Bachelor’s degree in Commerce. He has over 25 years of experience in the financial services industry & was the Group Executive & Head, Retail Banking at Axis Bank. His portfolio includes Retail Liabilities, Retail Lending & Payments, Branch Banking, Retail Operations, Digital Banking, Marketing and Retail Products. He has held key management positions at leading global financial institutions and has diverse experience in the financial services sector. He joined the Bank from its asset management arm, Axis Asset Management Co. Ltd., where he held the position of Managing Director & CEO. In his previous roles, he has managed Investments, balance sheet management & money market and bond trading. He has also been very successful as a Debt Fund Manager and has won several accolades for the same. He brings strengths in capital markets and building new businesses to his responsibilities at the Bank. He is an avid sports lover and movie fan. Shri Anand’s family consists of his wife who is a graphic design professional and two daughters. Mrutyunjay Mahapatra, a post graduate in Physics and Business Management had varied stints in State Bank of India, in the country and abroad for over 32 years. He has worked extensively in Corporate Credit, Leasing, Private Equity and IT functions and is also credited with setting up of a number of new businesses of the Bank. 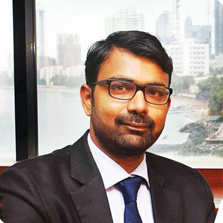 Ashish is co-founder and COO of BRIDGEi2i Analytics Solutions and leads the BFSI vertical. He manages consulting teams and functions at BRIDGEi2i. He is working closely with leading Financial Services & FinTech firms in their digital journey through use of AI / ML and enabling technologies to drive personalised actions, new business models and enable a very different customer experience. Ashish brings in over 17 years of strategy, M&A and analytics experience supporting Financial Services, Insurance, Hi-tech clients in the areas of marketing, pricing, risk management and fraud. 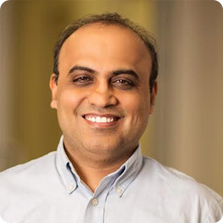 He was the Pricing Leader at GE Capital enabling data driven pricing decisions across all of GE Capital businesses and Business Leader for Analytics, at Genpact. Ashish holds a Bachelors and Masters degree in Statistics from Indian Statistical Institute, with specialization in Quantitative Economics. He has been a frequent speaker at international industry forums and conferences. He recently delivered a talk on the topic ‘AI – Analytics made Invisible’ in one of the largest Analytics Summit. Shyamal started his career in 1992 and has been a Retail Banking professional from the start. He has worked in Banking and Financial services industry in leading banks like Bank of America, HDFC Bank and in insurance in Bharti Axa Life before joining Standard Chartered in 2010. 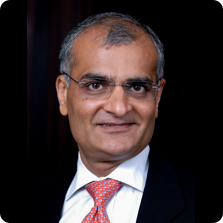 Shyamal joined Standard Chartered Bank as the Head of Retail Banking Products in India. He led the credit cards, mortgages, business and individual loans, deposits and fee product programs for South Asia as part of his responsibilities. 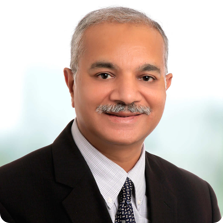 He was appointed Head Integrated Distribution, India and South Asia in July 2012 leading all distribution initiatives in India and South Asia across Sales, Branches, Contact Centre and Remote Channels. He moved into the Head Retail Clients position for South Asia in April 2014. 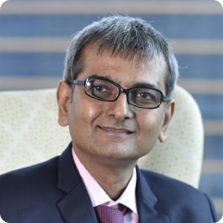 Deepak Sharma heads Kotak Mahindra Bank’s digital initiatives where he drives digital transformation, business model innovation & future ready initiatives of the bank. He is responsible for efficiency, productivity, customer experience & growth of the business through digital intervention across digital channels, lending, payments, investments, insurance, trade & forex, across Consumer, SME & Institutional banking segments. Deepak also leads the Innovation Lab, Design Studio, Fintech partnerships and Start-up ecosystem participation for the bank. Under his leadership, Kotak launched several innovative and global first products like 811, Jifi, Hashtag banking, Bharat Banking, M-Store & Kaypay, apart from new initiatives like API Banking, BYOD Biometric Banking & Robotic Process Automation. Deepak believes in constant innovation and focuses on building business models which are customer-centric, value accretive and disruptive. Deepak has worked across various international markets and brings a global perspective to his business. Prior to this, he was responsible for setting up the Bank’s highly successful Non Resident Indian (NRI) & International Remittance business. 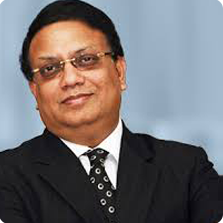 Deepak also played a key role in launching the Bank’s affluent banking programme - Privy League. With over 24 years of experience, Deepak’s professional tenure spans across the banking, telecom and service verticals. Prior to joining Kotak, he was part of the leadership team of Consumer Banking at Standard Chartered bank from 2003 to 2008. As National Head for Corporate Business, he was responsible for building the corporate payroll and Wealth Management business. Deepak has completed an advanced programme in Strategy from IIM Calcutta & Lead Certified in Corporate Innovation from Stanford GSB. He is a member of the FICCI National Committee on Fintech 2017-18, Internet & Mobile Association of India (IAMAI) apart from participating in various trade & Government initiatives on Digital India Roadmap. He is also associated with the NASSCOM Startup 10K program and mentors fintech & start-up ecosystems on an ongoing basis. 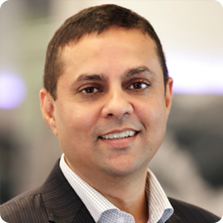 Vivek is a partner with PwC and is the 'Technology-led Transformation and Innovation Leader' for the Financial Services vertical. 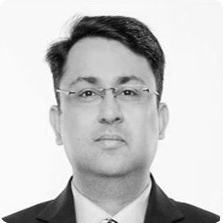 Vivek has over sixteen years of experience of working with Banks, Insurers, and Asset Management Companies in India and globally on business transformation initiatives leveraging innovative technology solutions. He has led multiple strategy to execution projects in the area of digital, fintech, payments, and analytics. He has co-founded a Robo-Advisory platform and is part of the launch team of Startupbootcamp which is a global accelerator in India. Vivek is also PwC's India FinTech Leader. He is part of PwC’s global fintech leadership team and is a frequent writer and speaker on emerging trends impacting the FS industry. Harsha Subramaniam leads Bloomberg Media Group in India as its Executive Producer since 2010. He is now spearheading the digital and multi-platform partnership for Bloomberg in its new avatar, Bloomberg-Quint. 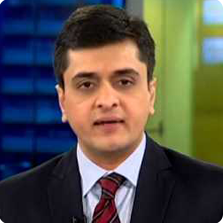 In his media career spanning two decades, Harsha has produced and hosted live content from India, New York, London and Hong Kong for Bloomberg Television and Bloomberg.com. Harsha graduated from Madras University. He holds an MBA degree and received training from the Asian College of Journalism. He is based in Mumbai, India. Anisha Nayar Dhawan is a Broadcast Journalist with nearly 17 years of experience across leading networks in India and abroad including NDTV, TV Today, Prasar Bharti and Sahara TV USA. 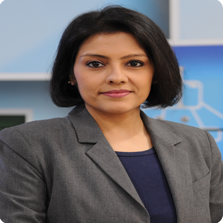 As a Business Journalist and Anchor she has a deep understanding of stock markets, economy and corporates. She has interviewed industry stalwarts like L&T's A.M. Naik, Amul's R.S. Sodhi and Motherson Group's Vivek Chand Sehgal for Zee Business. She holds a diploma in Broadcast Journalism from Indian Institute of Mass Communications and a Bachelors in Economics from the prestigious Lady Shri Ram College for Women. Sana Shaikh hosted and performed for The Traumacon 2016. Sana's style and aesthetic taste blends with any type of show or event. On the wings of her oratory and dramatic skills, she adds the finesse to carry any proceedings effortlessly. As a trained dancer in Indian classical, Sana will make you dance your blues away!! Over 30 years of experience, in Banking, Financial Services,Digital&Technological innovations, in India and overseas.Swarup is a highly driven, transformational leader and innovativethinker, with deep rooted foundation in Banking & Technology, with an entrepreneurial mindset, an established track record in achieving excellence and outstanding results in growing businesses, building strong leadership and leading strategic growth in the technology, information & analytics, financial services and Digital Transformation. Swarup has effectively blended Banking & Technology to provide provocative value to the clients. 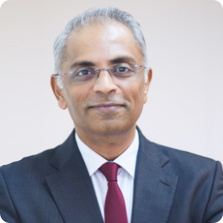 Swarup is currently Executive Vice Chairman Asia Pacific for Biz2Credit Inc., a leading online marketplace and innovator in digital platforms for banks and other financial services providers in USA Australia and Asia Pacific. He is also Chief Strategy Advisor to the promoter of a matured Fintech Banking Solution company Intellect. 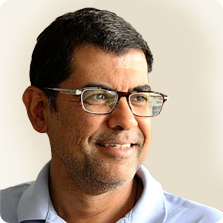 Mr. Balaji is a management professional with over 20 years of experience across strategy, marketing and sales. At Mahindra Finance, besides handling the SME business, he also heads the strategy and Marketing function. Mr. Balaji has been associated with the company since 2008 and has spearheaded various growth initiative of the company. 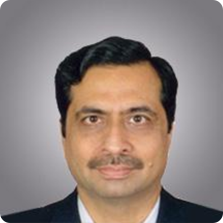 Previously, Mr. Balaji was General Manager – Corporate Strategy at Mahindra and Mahindra Ltd. He had worked with ITC Agro Tech Ltd and Nestle India in sales and marketing assignments. Arjun Singh is currently the Managing Director for Asia and the head of Envestnet | Yodlee's growing operations in India. In his role, he oversees the Bangalore development center and also spearheads revenue and user growth in the region. 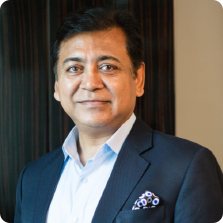 With more than 25 years of experience running and growing businesses, Arjun has held senior roles at Aon Hewitt in Asia, WNS, ABN AMRO Bank in Amsterdam, GE Capital Information Services, and ANZ Grindlays Bank in Delhi and Melbourne. Under Arjun’s leadership, the Envestnet | Yodlee India operation has grown to over twelve hundred employees, with continually expanding international sales. Arjun has an MBA from IIM Calcutta and a Bachelor’s degree in chemical engineering from IIT, Bombay. Arjun is passionate about education and is a trustee at the Om Foundation School for underprivileged children, and was a board member of the Welham Girls School. His interests include tennis, golf, travel, and theater. Arjun is married to Kavita and they have a daughter Amira, who has just started her career with Morgan Stanley in London.